The larger-than life-carnival witnessed over 25,000 visitors in 2 days! Pune, February 12, 2019: In continuation of the same tempo set in Delhi, Zomaland was no less mesmerising for the people of Pune, which witnessed over 25,000 visitors at the fair. A two-day fun-filled affair by Zomato, the event brought together the best food outlets in town under one roof to offer a sumptuous spread of cuisines under different zones. Zomaland made record breaking sales in Pune with almost all partner restaurants sold out on the first day itself. 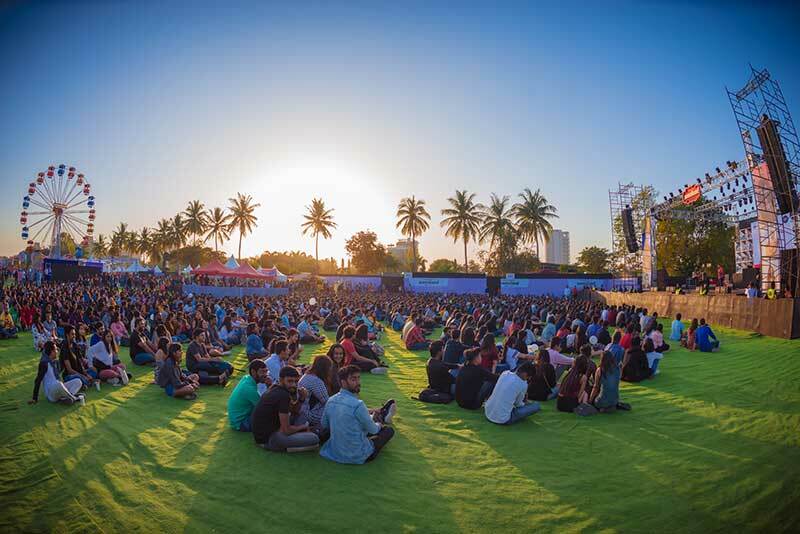 The crowd grooved to the music of the ‘Bass Raja’ Nucleya, Ritviz of ‘Udd Gaye’ fame, renowned Hindi rock band The Local Train, popular indie-band When Chai Met Toast, and laughed their hearts out at the performances of top comedians like Varun Thakur, Kunal Kamra and Aishwarya Mohanraj. While there was food, music and entertainment for all ages, there was also a special zone for the kids designed for them to have their own share of fun. “Following the grand success in Delhi, Zomaland grabbed a lot of attention in Pune by bringing the best of everything under one roof. This two-day event of endless fun was the result of team effort and dedication, working tirelessly to come up with this concept, a unique large scale Carnival with the perfect line up of varied cuisines, contemporary music and multiple experience zones,” added Chaitanya Mathur, Global Head, Zomato Live. Apart from the overwhelming response to the carnival, Zomaland has also seen tremendous participation from the restaurant community. It served as a great platform for them to showcase their culinary prowess and reach a larger audience base. Zomaland served as a great platform for the restaurants to showcase their culinary expertise, bringing the best for food enthusiasts to relish. The one of its kind carnival in the country will now move to Bengaluru (1-3 March) and the tickets for the event are available on the Zomato app.